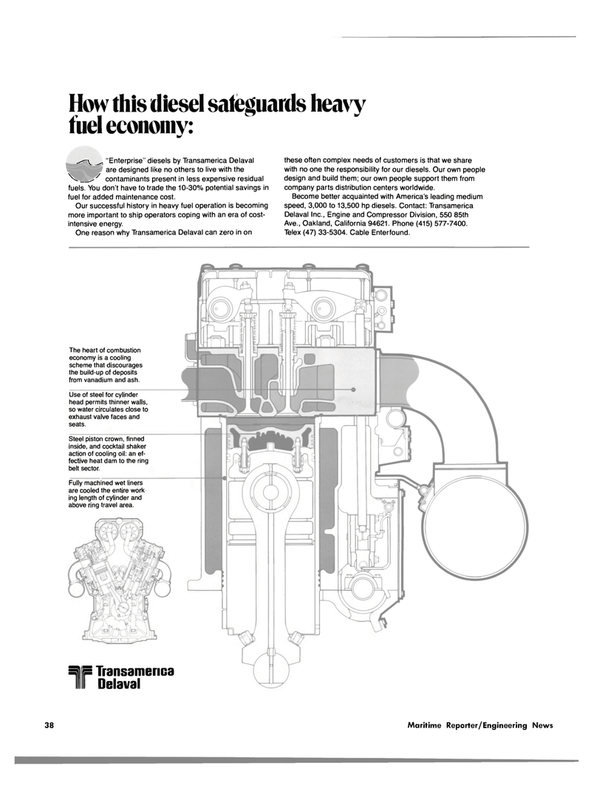 How this diesel safeguards heavy fuel economy: r^y ^ "Enterprise" diesels by Transamerica Delaval are designed like no others to live with the ^^Si^^ contaminants present in less expensive residual fuels. You don't have to trade the 10-30% potential savings in fuel for added maintenance cost. Fully machined wet liners are cooled the entire work ing length of cylinder and above ring travel area.